Whoever you are, wherever you are, sleep is a massive deal to all of us! Without enough of it our health can be affected along with our whole mood and without it altogether we’d actually die! I think we can safely say it’s important and I’ve been mulling on this even more in the last few months. After shaking up my nutrition to resolve my ongoing health problems, it got me thinking in a holistic sense about all areas of life; the products I was using on my skin, the ‘over the counter drugs’ I’d been happy to knock back without even thinking, the kind of exercise I was doing and high up the list, sleep. They all interlink with one another, as I come to understand more and more that feeling well isn’t just about one solitary aspect of life. I previously talked about new habits that my Husband and I kicked off in January and most of them were centred around sleep! Whizz back to December 2015 and after the craziest build up to Christmas I’d ever experienced work wise, I was exhausted come Christmas break. 7.30am (with a 5.30 alarm) to 12am working days were a regular occurrence, unless I had an evening social arrangement trapping me into submission. I was working most Saturdays whether I was teaching or just finishing off client work and come the evening I’d want to celebrate a teeny slice of time off with…you’ve guessed it, another late night. I’d usually pass out on the sofa and refuse to move an inch closer to bed when Nick prodded me. A vicious cycle and one I can imagine quite a few of you can identify with. I pretty much slept all the month’s sleep deprivation off when I finally got the two week break at Christmas, with crazy lie in’s until 10am. For a 6am natural riser that was quite a big deal for me and a red flashing light for change. We decided setting a weekday bedtime was in order. An illusive ‘in the hour of’ just doesn’t really work for us. Those kinds of vague rules are just begging to be broken and won’t stand up when you’re weighing up whether to watch another episode from The Waking Dead boxset after the gripping cliff hanger ending from the previous one. 10pm became our official time to start getting ready for bed with lights off at 10.30pm. Just getting more sleep, however isn’t the only thing to consider. Quality as well as quantity is important and I was first realising that staring at my phone until late really wasn’t helping me prepare to sleep. You’ve probably all heard that the blue light the comes from your devices, tricks your body into thinking it’s still day time but even with installing f.lux on our laptops and phones, I knew the problem ran deeper. As long as I was on my laptop or phone, I was still in work mode. I was tempted to reply to emails, edit photos or just generally overwork my brain with reams of information whether visual or words. 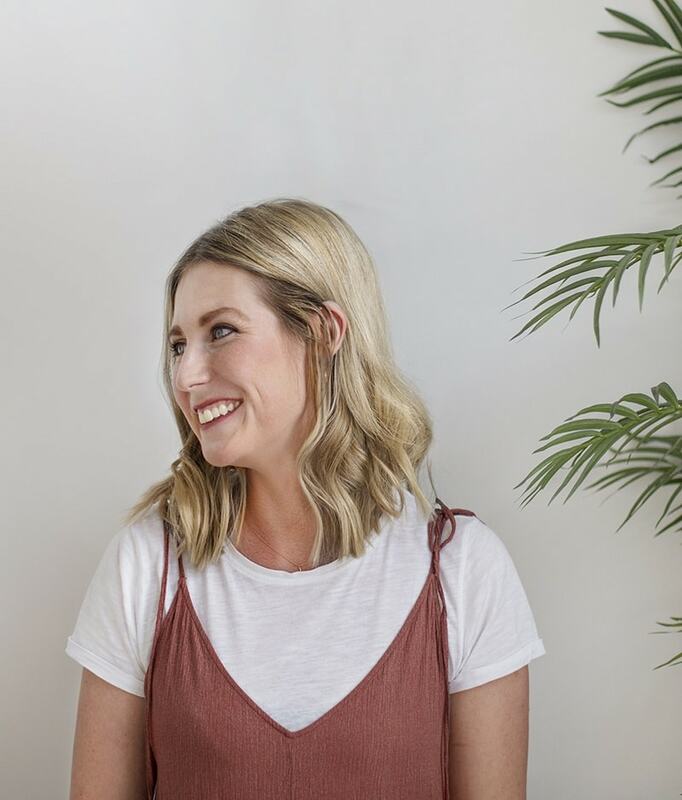 I’d been thinking about everything I should be doing and feeling guilty that I was going to bed when the Australian’s over the other side of the world were instagraming about shooting 3 blog posts in the gorgeous light. No logic, but that’s my messed up brain. Commence the technology ban post 9pm. No phones, no laptops but TV with f.lux is permitted. This means I just watch something rather than beavering away on a device at the same time, something I only used to do when a subtitled series forced me to. I can safely say I feel much calmer going to bed and rather than flicking through social media, I spend the time between 10 and 10.30pm dabbling in the lost art of reading. Crazy, eh? Along with this we got our hands on some new Belgium flax linen sheets which are just dreamy to spend the night in and I started drinking dissolvable magnesium to help me sleep better along with many of the other benefits. Whilst I’ve never had a problem falling asleep since being married (head to pillow and I’m gone), I’ve previously been aware that I move quite a lot through the night and punctuate every few hours with toilet breaks. I had a sneaking suspicion our mattress wasn’t exactly helping matters and it turns out I was right. We had a hand me down spring mattress, made bearable by a foam topper strapped on. 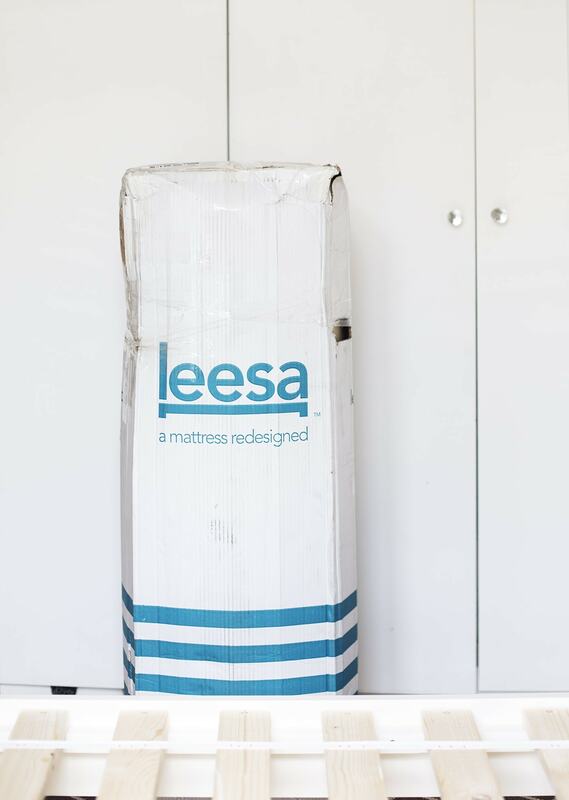 When Leesa offered me one of their luxury mattresses to try, it was a definite no brainer. Three layers of high quality foam create contouring pressure relief and core support for a better night’s sleep for all body shapes and all types of sleepers. This means one size fits all, removing the hassle and pressure of going to multiple shops to lie on endless potential mattresses, whilst forgetting what the previous 50 felt like. Along with that, it comes vacuum packed and rolled up in a compact box! None of the usual hoisting the thing up the stairs, dodging to avoid the bannister and taking someone’s head out all in one swoop. It was incredibly easy to get unpackaged and set up, leaving it to expand to full size for a few hours. It’s like some kind of wonderful magic trick! I have to say it was strange having a new mattress at first. The very first night I kept on expecting it to bounce when I turned over but obviously the memory foam is meant to fit to your body to give you support. Having said that you don’t sink helplessly in like other memory foam experiences I’ve had and from night one I noticed I slept more deeply and haven’t had such an achy back throughout the day. I enjoyed good quality lie ins until 8.30am both mornings of our first weekend with the new Leesa Mattress. Usually I’m awake from 6am on a Saturday trying desperately to get back to sleep, particularly when it’s light earlier at this point in the year! So far a big, comfy success all round and I’m increasingly looking forward to my head hitting the pillow. Of course that’s probably a lot to do with getting older. I never used to understand why my parents would say that was their favourite part of the day. The best thing is that you can snap up one of the sizes at very affordable prices starting from £390.00 with free shipping and a 100 night risk-free trial. That takes any commitment panic out of the process, with them arranging pick up and sending the mattress to charity if you’re not happy. If you’re tempted to invest in a better night’s sleep then Leesa are also offering The Lovely Drawer readers a £50.00 discount on all orders. Snap it up while you can! 1 tbsp of coconut oil to added to your bath rather than to the salt mixture prior. Start by crushing the dried lavender with a pestle and mortar to release the aromas. Mix this, along with all the other ingredients in your air tight jar. Stir through and then give it a good shake with the lid on, making sure it’s all evenly combined. 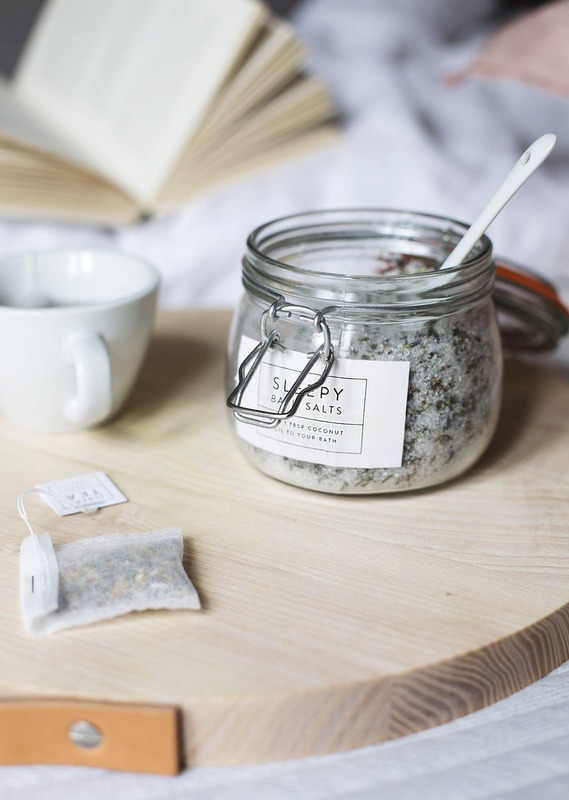 Use 1/2 cup of the salts in your bath along with 1 tbsp of coconut oil and sit back and relax! Fill the tea bag with the lavender and camomile. Add this to a cup of hot water and allow to infuse for about 5 minutes. Then you can sip yourself into a dreamy state. Why not sip the tea in your bath for a double whammy. Don’t blame me if you’re unconscious by the end of it. Do you struggle with sleep? What are your tips? I hope you enjoy mine and remember if you’re thinking about a mattress update to lend a helping hand then make the most of the £50.00 discount for all you lovely readers!